In-the-know birders have been flocking to Richmond for years, spreading their wings at celebrated birding sites like Terra Nova Rural Park and Iona Beach Regional Park. But with birding becoming more popular and an increasingly mainstream pastime, a new breed of novice birder is also popping up in city parks and outdoor spaces. If you’re keen to try birding for the first time—or you just want to add some avian identification action to your Richmond nature walks—check out our introduction to the local bird scene here, then read on for our handy tips from an expert on how to be a responsible birder. Need some inspiration before you take the plumage-spotting plunge? Download our free birding map or pick one up from our Visitor Centre—then prepare yourself for the wild excitement of seeing everything from swallows and green herons to northern harriers and rufous hummingbirds. 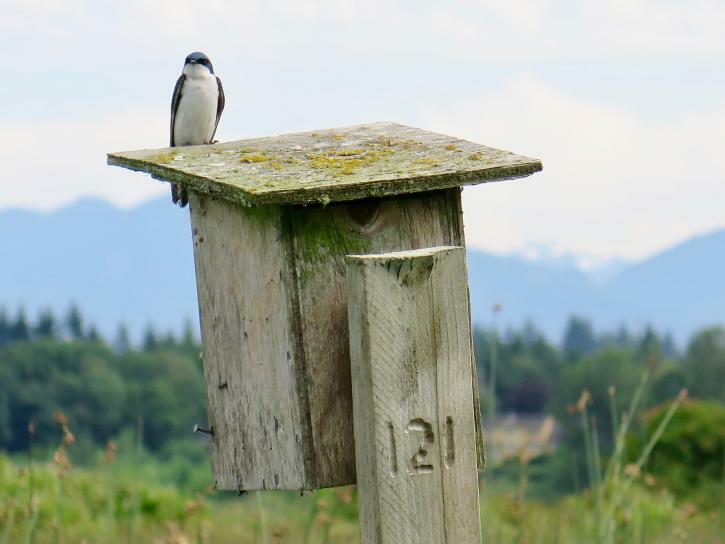 “The bottom line for responsible birding is to observe the birds in their natural habitat without disturbing them at all,” says Robyn Worcester, a natural resource management specialist with Metro Vancouver Regional Parks. The self-described “local bird nerd” is a biologist who’s been organizing bird counts and studying regional avian populations for many years. Worcester recently moved from Vancouver to Richmond and has been busy rediscovering the city’s incredibly varied bird spotting opportunities. 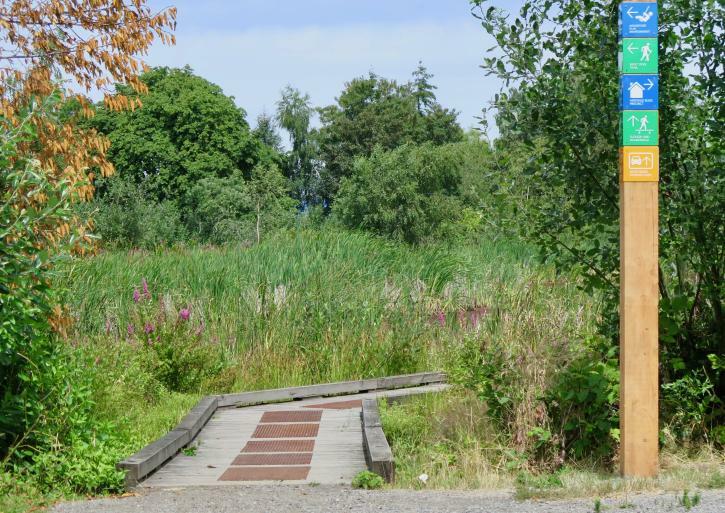 “I love Terra Nova, and the marshes along the West Dyke are full of cool species like rails, raptors, and American bitterns,” she says, adding that there are also many ducks to see near London Landing, and songbirds to spot at the Richmond Nature Park. 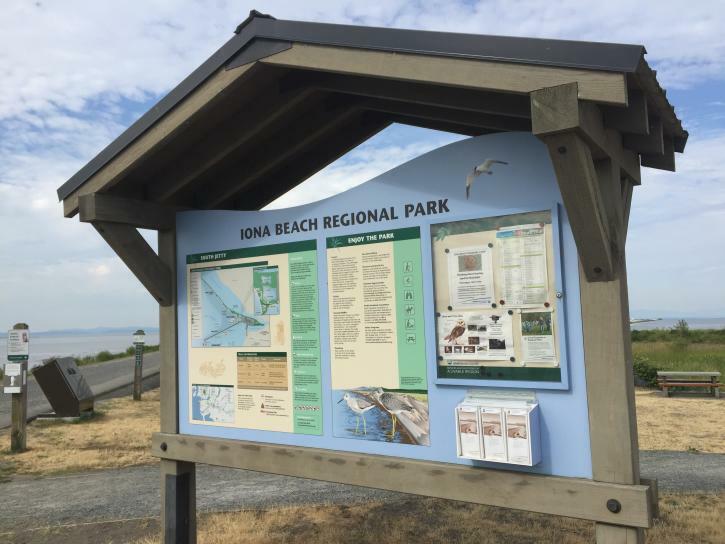 There is also, she adds, an eye-opening diversity at Iona Beach Regional Park. “I think Iona is my favourite. It has such a wide variety of habitats—river, ocean, wetlands­—that you can often see a huge array of different birds close-up.” But it’s that proximity, Worcester says, that can cause problems among newbies. “You want to be able to see the birds up-close without being too close, which is why I always recommend good binoculars for first-timers. Once you learn how to use them properly, they can make a big difference to your spotting,” she says, adding that buying a bird identification book or using a dedicated app also helps trigger “the buzz” of discovering new-to-you species. Worcester adds that you should never feed birds to bring them closer to you. Another key rule applies equally to children, dogs, and over-keen birders: never chase the wildlife, since this can be extremely distressing for them. “If it acts disturbed, it is disturbed,” she says. Poking your camera into nests is also a no-no—and illegal at that. But what if you find an injured bird or an abandoned baby? “Some birds raise their chicks on the ground so they might not be abandoned. And injured birds might recover on their own or perhaps should be left to nature,” she says, adding that if you’re not sure what to do, call the Wildlife Rescue Association of BC. Keeping their helpline number handy is a good idea when you’re out birding, she adds. If your new hobby takes flight, says Worcester, there are lots of local bird-focused groups and volunteer organizations to join. She also suggests checking out eBird, where you can upload an ongoing record of your bird sightings, sharing the data in a popular cross-Canada citizen science initiative.